This recipe is from one of my favorite cookbooks, The New York Times Cookbook, edited by Amanda Hesser. 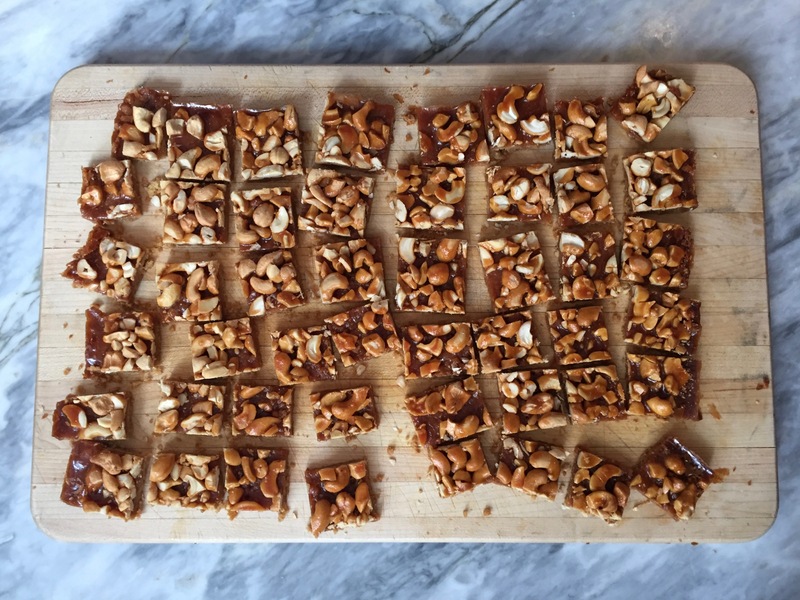 In her intro to this recipe she writes, “I never thought I’d recommend a recipe containing butterscotch chips, but I’m open to change. 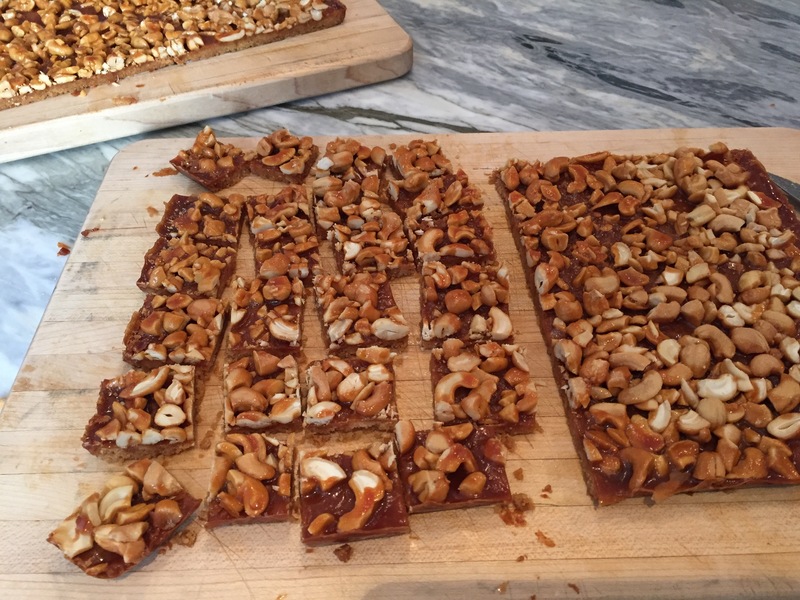 Are you?” Like Amanda, I never thought I’d use butterscotch chips, but let me tell you- I’m eating humble pie now, or actually Cashew Butterscotch Bars and I’m not going back. I do have some standards though. The original recipe called for corn syrup; I couldn’t do butterscotch chips AND corn syrup at once, so I used Lyle’s Golden Syrup instead. The Golden Syrup actually adds a warmer more buttery flavor which compliments the butterscotch nicely. Corn syrup would have been just too straight up sweet. Ooops, I almost forgot. In case you’re still on the fence… this is an award winning recipe; I have the trophy to prove it. My friend holds a cookie swap most years; but it’s not just any cookie swap. This is serious business. There is voting. A winner is declared. 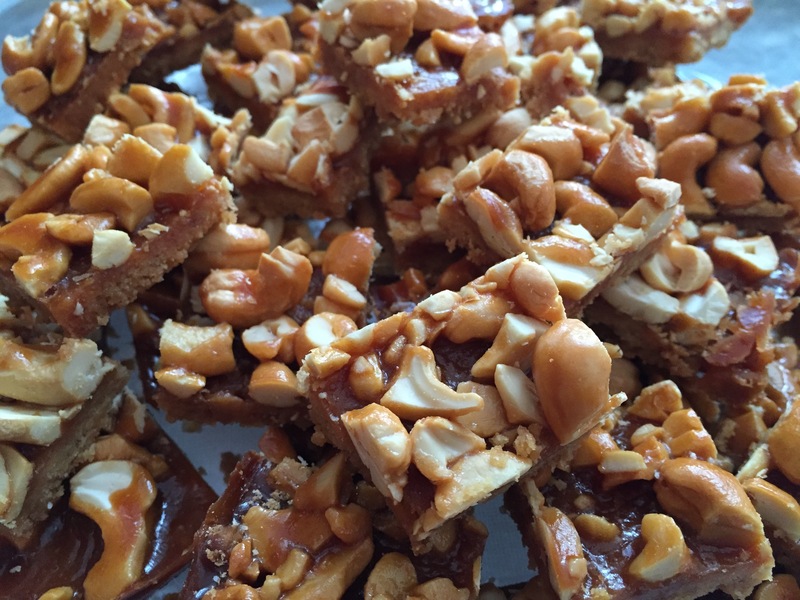 And in 2012, I was the winner, Jean “The Cookie Machine” with these Cashew Butterscotch Bars. 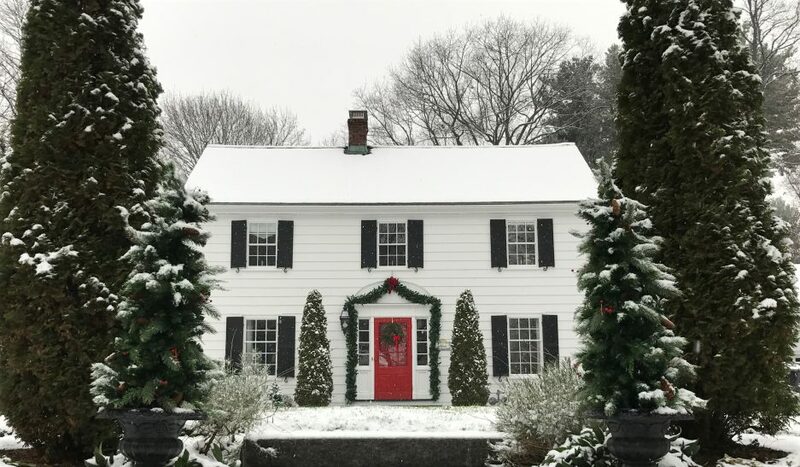 You may notice there hasn’t been a cookie swap since… something about blizzards, busy lives, etc. I’m not buying it. They’re scared. You, on the other hand, should not be scared. These bars are easy, addictive, and well worth the occasional indulgence. Center a rack in the oven and heat the oven to 350°F degrees. Line a 13-by-18 inch rimmed baking sheet with foil, including the sides. 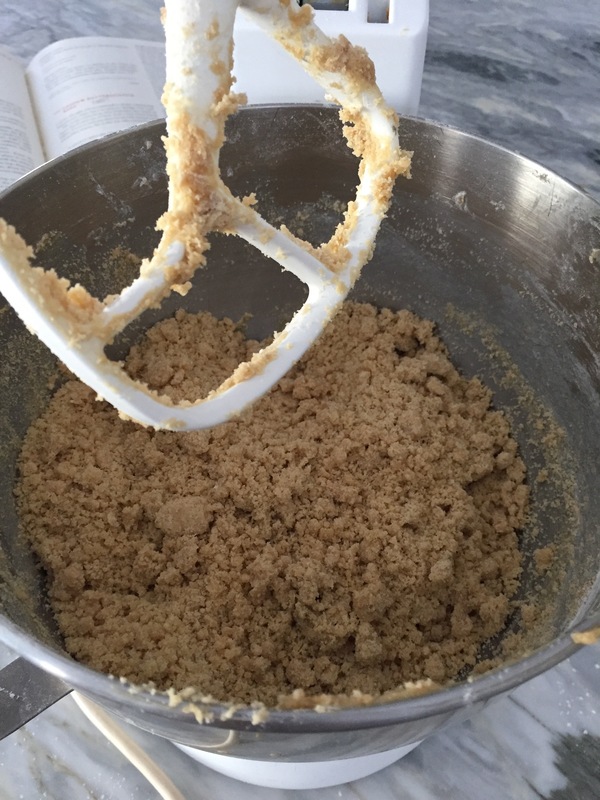 In a mixer fitted with a paddle, beat 2 sticks plus 2 tablespoons butter and the brown sugar together (or mix in a bowl with a rubber spatula) until smooth. 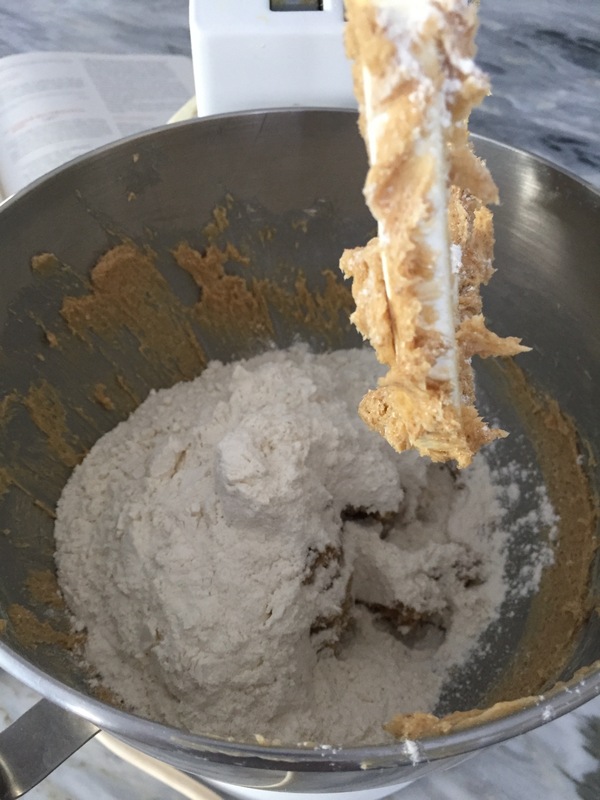 Stir the salt into the flour, then add the flour to the butter and sugar mixture and mix until the dough is well combined but still crumbly (if the dough is mixed until a ball forms, the crust will be tough). Pat the dough evenly into the bottom of the lined pan. Bake for 5 minutes. With a fork, prick the dough deeply all over, return the pan to the oven, and bake until the dough is lightly browned, dry, and no longer soft to the touch, 10 to 15 minutes. Transfer to a cooling rack (leave the oven on). Combine the remaining 3½ tablespoons butter, the butterscotch chips, golden syrup, and water and cook in a small saucepan over medium heat, stirring constantly, until the butter and butterscotch chips are melted, about 5 minutes. Pour the topping over the crust, using a spatula to spread it evenly all the way to the corners. Sprinkle the cashew pieces on top, pressing down lightly. 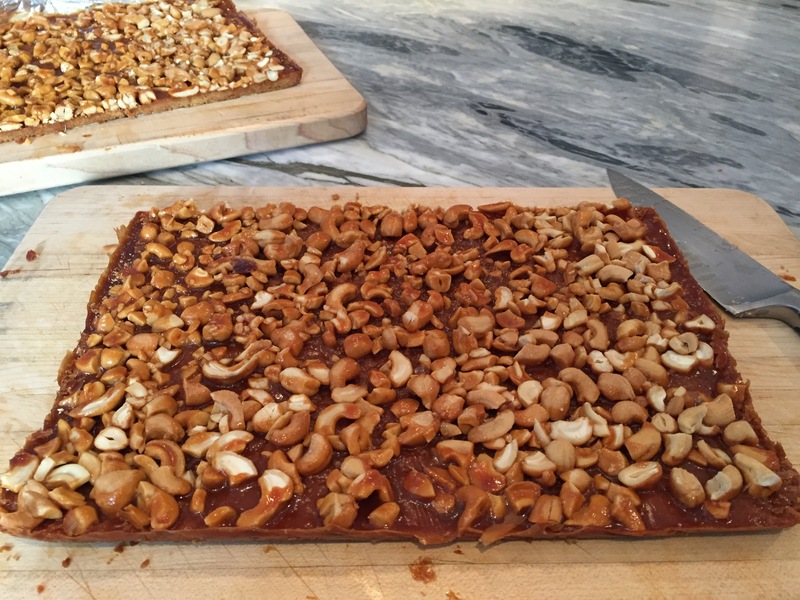 Bake until the topping is bubbly and the cashews are lightly browned, 12 to 16 minutes. Transfer to a rack and cool completely before cutting into bars. 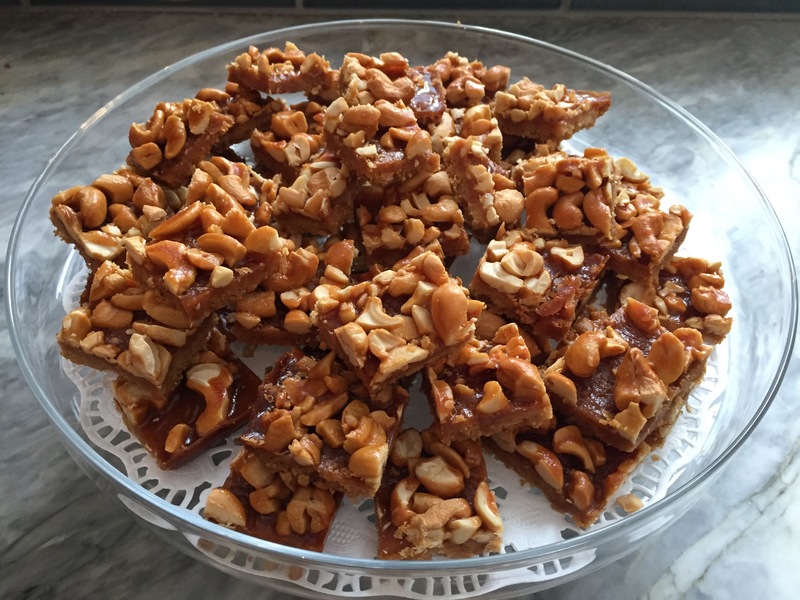 Note: These are rich and sweet; I cut them into approximately 1-1½ inch squares. 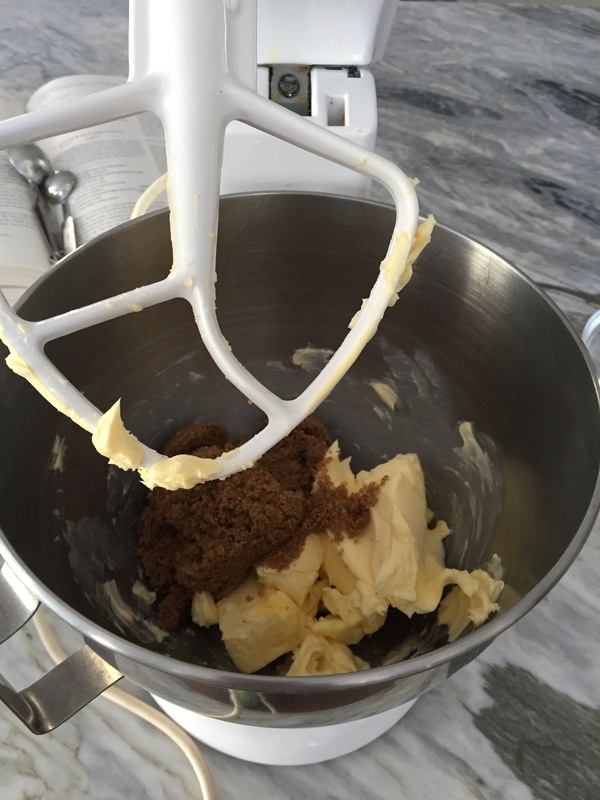 Place 2 sticks + 2 Tablespoons of unsalted butter into a standing mixer fitted paddle attachment. Stir salt into flour, then add to creamed butter and sugar. Mix quickly and lightly until crumbly. 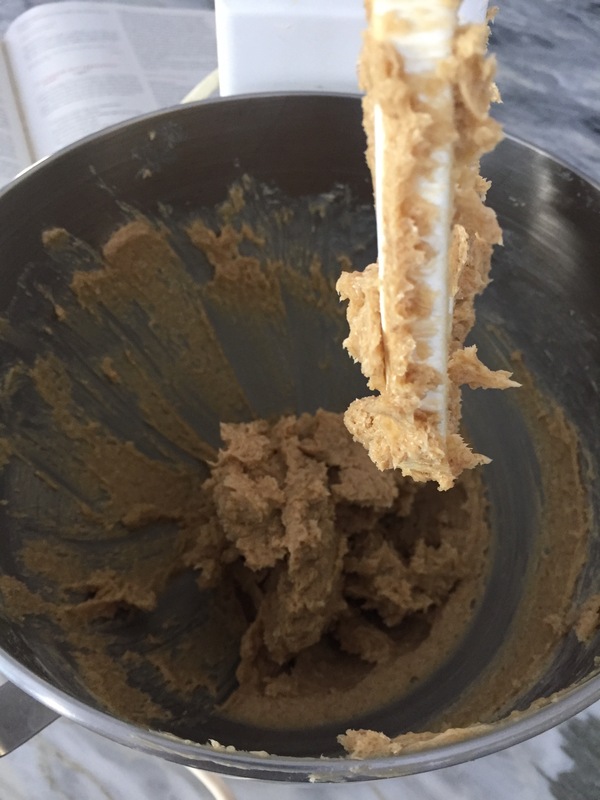 Do NOT mix so long that dough forms a ball otherwise cookie base will be too tough. 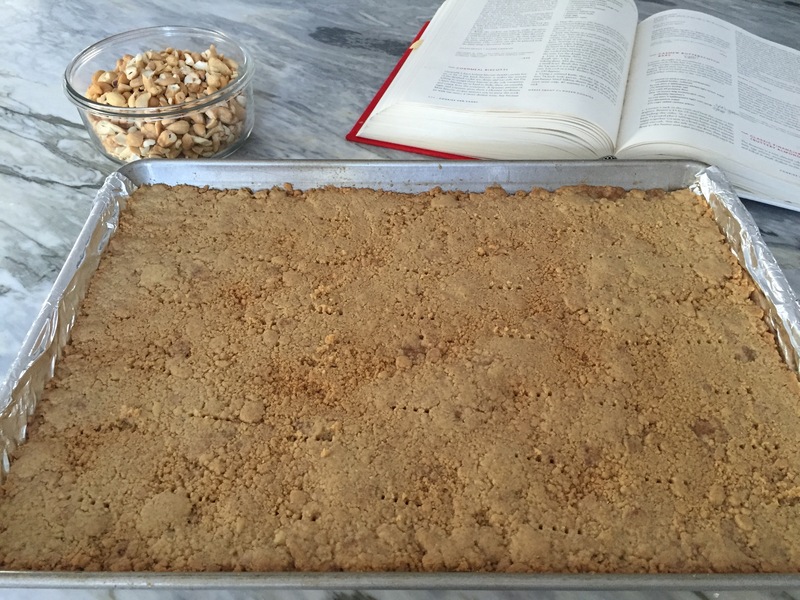 Evenly distribute crumbly flour mixture around 18 x 13 inch sheet pan lined with foil. Using your fingertips or flat bottom of a measuring cup, gently pat dough evenly down throughout sheet pan. Place in 350°F oven for 5 minutes. Remove and prick all over with tines of a fork. Place back in the oven for an additional 10-15 minutes or until golden brown. The cookie base is golden brown. Keep oven on as this will be going back into the oven as soon as we spread the butterscotch and sprinkle the cashews on top. Place butterscotch chips, remaining 3 1/2 Tablespoons of butter, Lyle’s Golden Syrup, and water into small sauce pan. Place over medium heat, stirring constantly until butterscotch chips are melted, about 5 minutes. Immediately after butterscotch comes off the stove, pour it onto the cookie base. Using an offset spatula, spread butterscotch evenly out to corners. until entire surface is covered. Return to the oven to bake for an additional 12-16 minutes until the top is bubbly and the cashews are lightly brown. Cool completely before removing and cutting into squares. Thank you so much for your lovely comment! I’m looking forward to checking out your blog… and very best wishes for much success with your bakery! Looks amazing! I am going to try it now! I’ll try it fr sur then! Oddly enough I’ve just put golden syrup on my shopping list …. it’s such a taste of home and I felt the need to have some in the cupboard. Now I know why! I HAVE to make these. After all they won the cup! Felicitations a vous for the prize! I’m happy to accept that! I sooooo want to make these. Jean!!!! What are you doing to me!! OH my I love cashews and bars! Jean the cookie machine? I love it!! I really would love these they are very different and I love your trophy and name! Can we call you that!! lol kidding! This is a must try! Pinned it! So much to do, so little time. And can I just say how much I appreciate a glimpse into your cookbook collection! I ❤️ Cookbooks! And thank you looking forward to following you too! Haha I totally understand,. Hope you have a good weekend Jean 🙂 . Dear Jean! I love cashews. I love butterscotch. So yummmm — I love these! A treat indeed. Mega hugs! It’s a win-win!!! Mega hugs right back, Teagan! Hope you’re having a lovely weekend! I bet they are addictive – they look phenomenal. You sure deserved that trophy! These look delicious and I see you have done a great job in Lin’s challenges. I am trying out a cake recipe next month. I hope it is as sucessful as your middle easter dish! Thank you so much for the very kind comments! The recipe challenge was a lot of fun. What cake are you baking? I can’t wait to see what everyone comes up with! There was only one or two left by the time I found the challenge. Kremowka. But in researching it, I have found some other delicious Polish recipes to try. How about you? You could help me make the Kremowka and we could compare!!! Thank you for stopping by and for the lovely comment, Gloria! Fantastic recipe, Jean. I love all nuts, but cashews have always been my favourites. The butterscotch and golden syrup together sound mouthwatering, too. A recipe well deserving of an award! Well, at least my book is being written now, thank, Jean. I ignored it for a lot of last year – not a good thing to do. It’s so hard to balance writing a book and blogging and so on. I joined Twitter recently, too – for my sins! Thank you! Hope you like them!